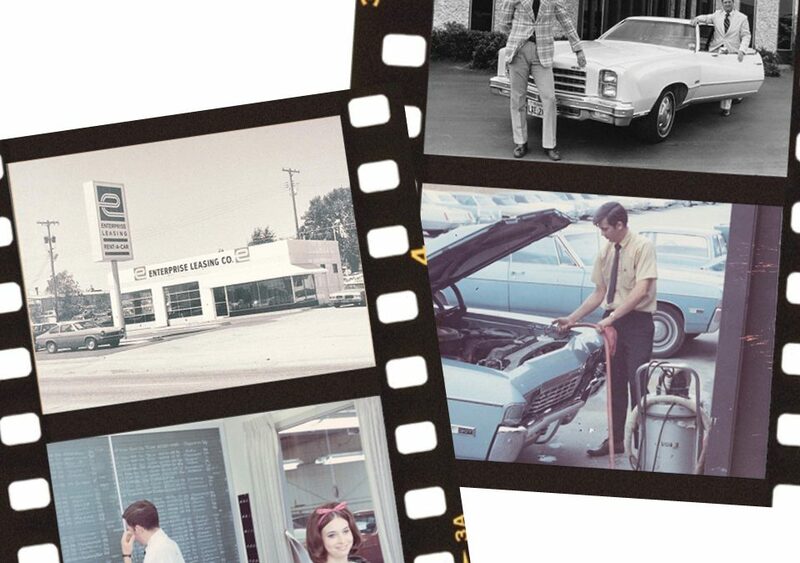 During its second decade, Enterprise continued to grow, expanding beyond its hometown St. Louis roots and beyond its core car rental and leasing business. Focusing on neighborhood locations and the needs of local renters, the company opened offices in Kansas City, Atlanta, Houston and key markets in Florida – in fact, it was in Orlando that an entrepreneurial manager pioneered our trademark “We’ll pick you up” service which was quickly adopted throughout our operations. After surviving the energy crisis and its lingering effects on the auto business, the company sought ways to diversify into non-automotive areas – acquiring a hotel/motel in-room coffee service operation and a Mexican food business. Here are some highlights from this decade.